* Result may vary depending on each patient anatomy. 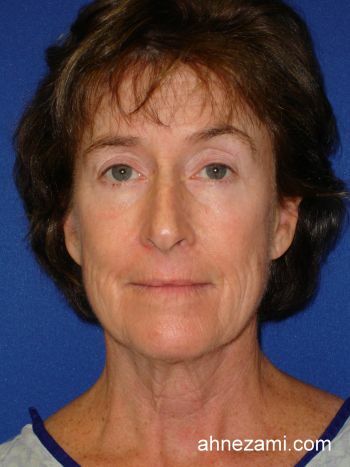 Case 3719..............................Age 59.............................Weight 113…..........................Height 5’2”................................... 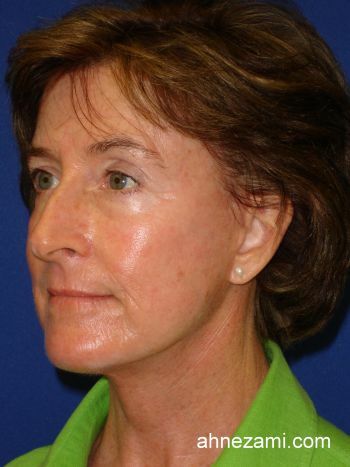 This Atlantic Beach, Florida resident came to Jacksonville Cosmetic Surgery Center for face lift surgery. She had consultation with one other practice. 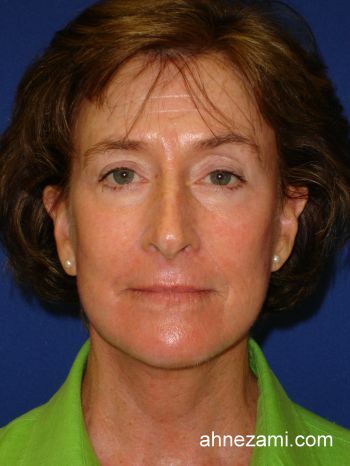 She decided to have her rhytidectomy done by Dr. Nezami after seeing Dr. Nezami’s before and after face lift photos. She appreciated the natural looking results on all the cases. The surgery went well, the patient was very happy with the natural looking result of her face lift. 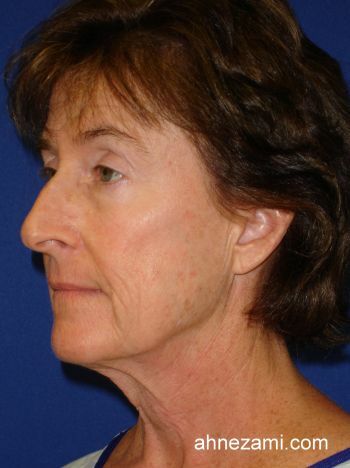 She continued to use Dr. Nezami’s plastic surgery clinic for her Juvederm, Botox treatment and skin care products and facial on regular basis.